Do I Need to Be Separated from My Spouse before Filing for a Divorce? | Petroske Riezenman & Meyers, P.C. Many people are anxious to divorce so that they can enter another relationship and possibly get re-married. Fortunately, in 2010 New York added a true no-fault ground for divorce that does not require you to be separated before filing for divorce. Although divorce can still be messy and time-consuming because there can be disagreements about any number of issues, at least there is one less issue to resolve. Before the amendment to the law, if the parties wanted to avoid a fight over whether there was a sufficient reason (or fault) to justify granting the divorce, they would have to enter into a separation agreement and then live separate and apart for a year. Only then could they avoid having to prove cruelty or adultery or one of the other fault-based grounds for divorce. 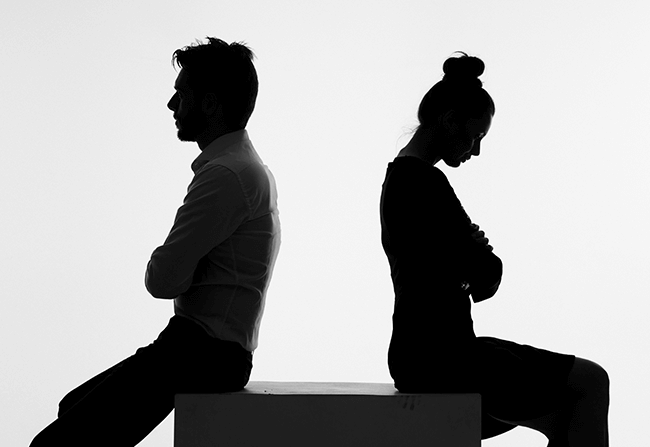 Living apart for a year not only caused unnecessary delay in granting divorces, but it was often an unattainable approach because it required the parties to first agree on the resolution of all the issues in the case and incorporate that agreement into a separation agreement. Agreeing on all issues was important, because otherwise the parties could not sign a separation agreement which was required up front before the one year separation period could start to run. Thankfully, the addition of the “irretrievable breakdown” ground for divorce (Domestic Relations Law §170) in 2010 allows the parties to get a divorce if one of the parties is able to allege that there has been an irretrievable breakdown between the parties for the past six months. The proof can be made by affidavit, and does not require testimony. The term “irretrievable breakdown” is not defined by the statute, and proof can consist of the mere allegation that there has been an irretrievable breakdown. You can claim a break down of the marriage even if you are still living together. In short, there is little if any ability to defend against this ground for divorce, making it a fairly sure thing. Technically, a sexual relationship with another person while a divorce is pending is adultery. Even if neither party has alleged adultery as a ground for divorce, adultery remains a misdemeanor level crime in New York State. This may be of some concern if you are worried about being the first person in a hundred years to be charged with the crime of adultery. If not, there is nothing to stop you from conducting yourself discretely. Discretion remains important for a couple of reasons having nothing to do with the criminality of adultery. First, if there are children, it is important to keep the children away from the paramour. Although there was a time when the moral turpitude associated with an extramarital affair would be a factor in a court’s determination of custody, today the courts are more concerned with the ability of a parent to protect his or her children by keeping children away from a paramour while the parent is still married. So, while a relationship can be a fine idea, it’s important to keep the children away from the paramour. Second, keeping it discrete may help settle your case. Many cases that could have settled “blow up” when emotions run hot. Common sense dictates that the best course is one which involves the least potential for conflict. In other words, what your spouse doesn’t know, won’t hurt him or her.